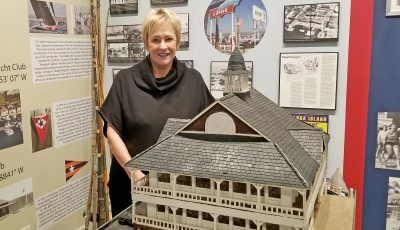 Everything old is new again at the Balboa Island Museum, because the museum and its historical artifacts and displays have left their cozy cottage on Marine Avenue and moved down the street to a new home. 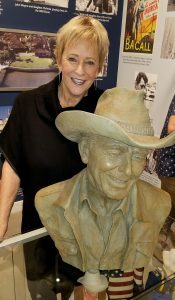 The Balboa Island Museum and Historical Society has tripled in size thanks to its new digs at 210 Marine Ave, the former home of Art for the Soul, which closed earlier this year. 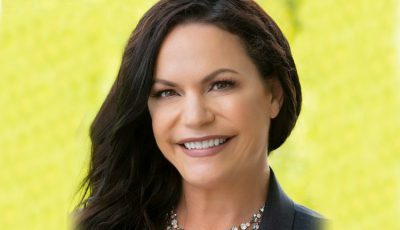 The Museum’s new facility, which officially opens to the public on November 30, allows for expanded exhibits, new collections and other amenities including an interactive children’s area and space for community gatherings and events. During a pre-opening tour, Pepys showed off the new exhibit space, which includes sections on Newport Beach pioneers such as the Beek Family, which still operates the Balboa Island Ferry, the Collins Family, The Hershey Family (the new museum is two doors down from the Hershey Market), plus odes to surfing, fishing, the Wedge, the Balboa Fun Zone and Bal Week, lifeguards, noted local landmarks, and of course longtime local resident John Wayne and other Hollywood figures who lived here or frequented Newport Beach. Interactive monitors have bene placed in select exhibit areas so visitors can learn more about the history of the area. 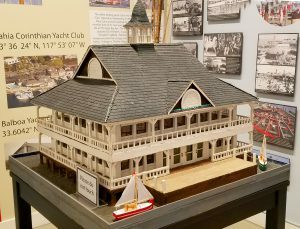 One new piece that Pepys was lucky to obtain came by way of an unexpected phone call from a former Newport Beach resident, who told Pepys that he had made a model of the iconic Balboa Pavilion and if she wanted it, his sister had it at her local beauty salon. Pepys saw it and had the model transferred to the museum, where museum builder Dan Gallagher restored the large model and hand-glued 300 lights to its roof and perimeter, mimicking the real Pavilion. The Museum’s new home has its own rich history. 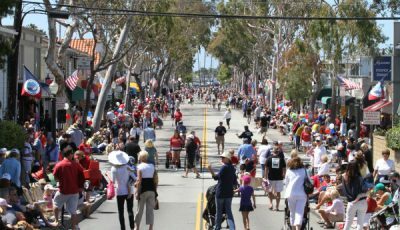 The building has housed a temporary fire department, a series of locally owned hardware stores (1942 – 1979), the Original Balboa Island Beach Company (1984 – 1998) and the beloved Art for the Soul (1998 – 2018). Their first large event was a special VIP party on Thursday evening, Nov. 29. There will be many more to come. 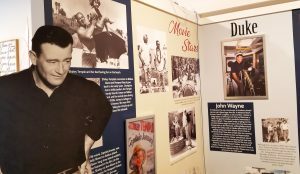 A life-size cutout of The Duke stands watch over the John Wayne exhibit. 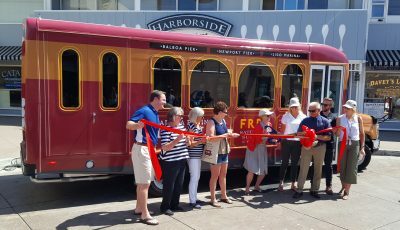 Although the move is complete, the Balboa Island Museum & Historical Society still is in need of funds to fulfill its continuing vision and mission and to build an endowment that will ensure that Balboa Island’s story and legacy are never lost. 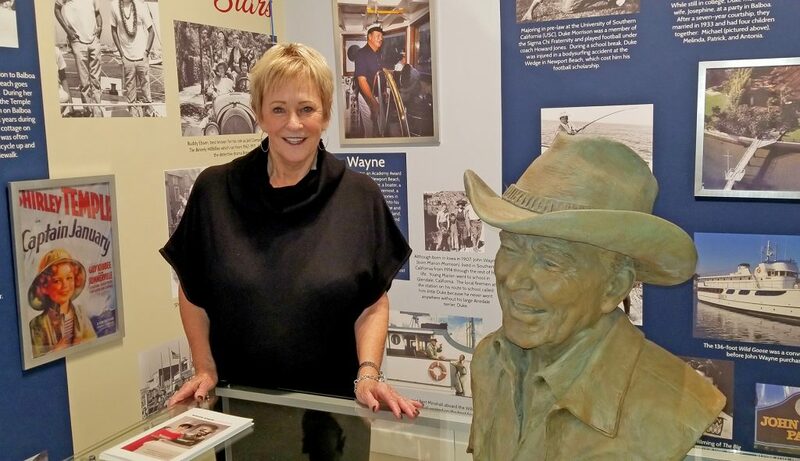 The Museum also relies on a dedicated team of volunteers to staff the Museum and store, and upon the lending and donation of Balboa Island artifacts from friends, residents and collectors. Please contact volunteer coordinators Sue Sibley at (916) 799-6053) or Celeste Dennerline at (949) 554-5556) for more information on volunteering. For more information on the museum, visit balboaislandmuseum.org.